Thanks Rockland Boulders Baseball Team! Our team at Bug Runner Extermination Company earns our reputation as an awarding-winning pest exterminator in Bergen County NJ and Rockland County NY by using our 50 years of pest management experience to deliver the safest and most effective possible methods of pest control. At Bug Runner, we understand that the health and safety of your family, or the employees and customers of your business, depends on the quality and effectiveness of the pest management services we offer. 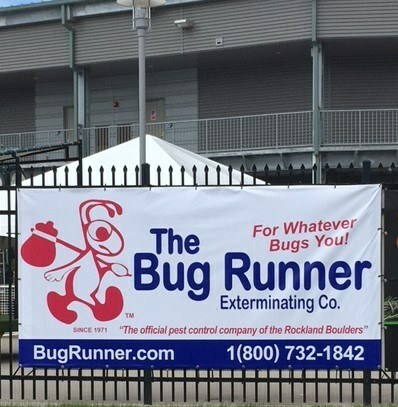 One of the ways our pest management company differs from other services for pest control in Bergen County NJ or Rockland County NY is Bug Runner’s Integrated Pest Management plans and services. While most large pest control franchises opt to use chemical treatments as their method of choice for pest management, Bug Runner’s exterminators apply pesticides only in emergency cases or in severe cases of infestation. Instead, our team effectively uses an Integrated Pest Management approach to pest control. Bug Runner also holds a Certification in Nuisance Wildlife Control issued by the New York State Department of Environmental Conservation. In order to maintain our good standing within these professional groups, our team at Bug Runner must follow all the pest control industry’s Best Practices. In addition, all our pest control technicians must complete regular training session so they know how to employ the latest pest management techniques and products safely and effectively. 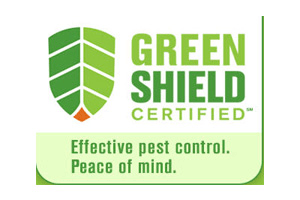 By strictly adhering to all pest industry standards, our team keeps our clients safe and their property pest free. To give back to the communities that have supported our business, our team at Bug Runner does volunteer work and participates in fundraisers for local charities. For example, since 1988, Bug Runner has held an annual holiday toy drive for Rockland County Department of Social Services. As a local family owned business, our team at Bug Runner makes community involvement one of our priorities. Learn more about Bug Runner and our pest control services, including Integrated Pest Management, in Bergen County NJ and Rockland County NY by contacting us today!